Oscar Wilde’s favorite London hangout is still one of the best places to spend the night in the swinging city. It’s seen the likes of Oscar Wilde, Mick Jagger, and countless other celebrities walk its halls and following its recent reopening; it’s set to welcome many more. A location by Piccadilly Circus puts London’s best nightlife only minutes away. But, Heading out is an afterthought. People who come here usually find all the entertainment they need right inside. Ziggy’s bar, ( named after an infamous party held on premises by David Bowie) serves up evocative cocktails ( a glass of Darkness and Disgrace anyone?) and is where the cities young and brightest gather once the clock strikes five on a Friday. For the more conservative types, the Hotel Café Royal’s afternoon tea is one of the best around. Be pampered in the 1,200 sqm Akasha Holistic Wellbeing Centre with its 18m pool, extensive gym, sauna, jacuzzi and 9 treatment rooms. Choose between rusticated Portland stone or fumed Oak panels in the rooms, both with parquet floors creating a calm and luxurious ambience. The Oscar Wilde Lounge, formerly the iconic Grill Room established in 1865, serves afternoon tea, a British tradition. It's such a nice hotel with a very kind staff. Next time we will stay here again! Splendid hotel, very refined decoration, a little dark nevertheless, extremely professional staff, smiling and courteous. The Hotel Café Royal is one of the most great hotels in london , rooms are big , hotel is very secure , staff are friendly and helpfull , the location is more than perfect for all the family , especially people from the gulf who love shopping. The underground station is just 2 minutes walk , Oxford Street about 12 minutes walk , i can't describe how beautiful is every thing about this hotel. It’s the luxury hotel where everything is excellent. The rooms are spacious - more than any hotel in London- the food is perfect. 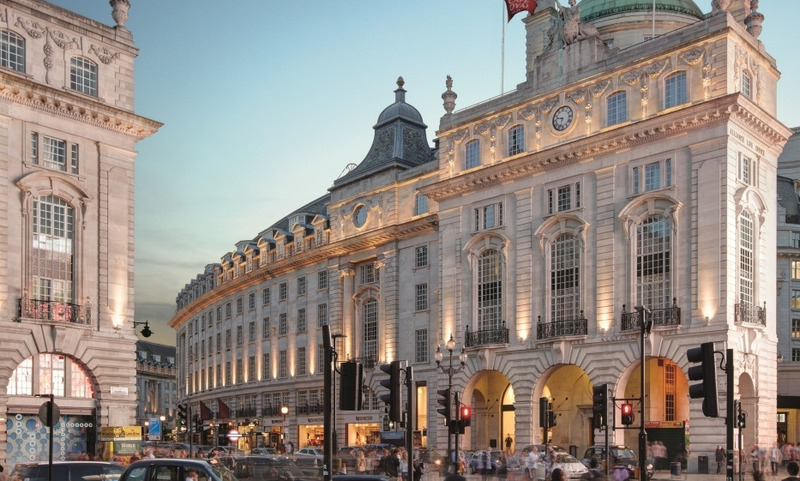 The location, at the heart of Regent St., is where all the major shops are. I really recommend it for everyone need a luxurious and beautiful place. A very beautiful hotel at once contemporary and traditional. The location is ideal and the staff is professional and charming.